The Civic Box Office, corner of Wellesley and Queen Streets. 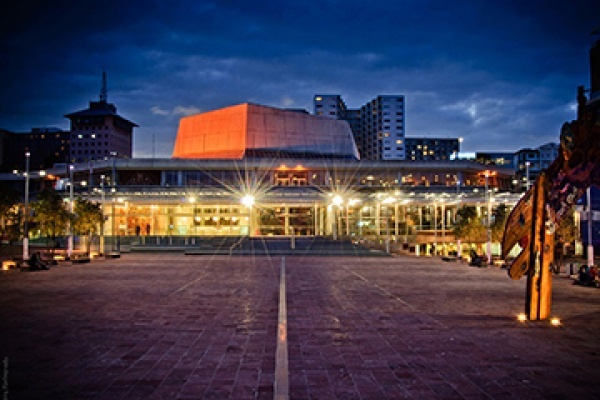 The Aotea Centre is located at 50 Mayoral Drive, Auckland. The main entrance is on Aotea Square, off Queen Street. There is also pedestrian access from Mayoral Drive. The Civic Car Park is located directly below the Aotea Centre and has access to the Aotea Centre. There are 1,000 car park spaces available.